Over the past few months, Twitter has been upping its direct message game. First, the 140 character limit in direct messages was lifted, then you could direct message multiple users at the same time, and now it’s easier than ever to share public tweets with other people privately. 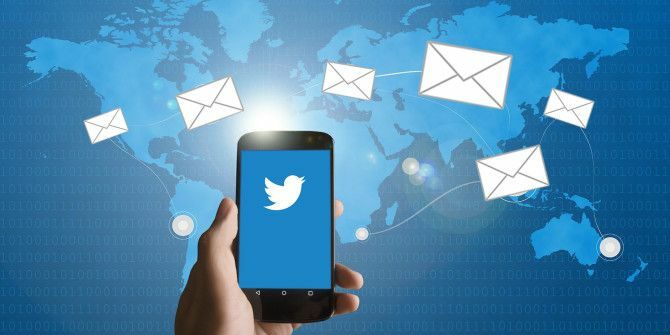 Instead of having to copy and paste the link to the tweet, Twitter’s latest Direct Message feature allows you to send tweets as a direct message with the click of a button. Under each tweet, there’s a series of options: Reply, Retweet, and Like. The menu button under each tweet (three dots) includes other ways you can interact with that tweet, including sending it in a direct message. Click the “Share Via Direct Message” link and a dialog will open up where you can choose who to send the tweet to. People you’ve recently direct messaged will be listed. You can also just start typing the person’s name and their profile will show up in the list. You can also add your own text to accompany the shared tweet as you’re sending it. This feature is a great option if you want to bring a tweet to someone’s attention without retweeting it, and also gives users the chance to start private conversations around publicly shared content. Do you use Twitter’s new direct message feature? Let us know in the comments.